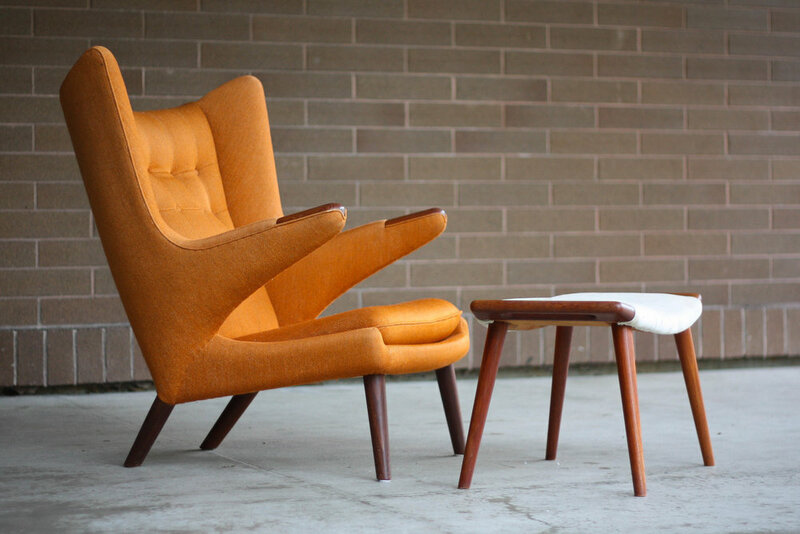 The Papa Bear chair is the golden goose of Mid Century chairs. We’ve been at this game for a long time and this is the first, and quite possibly the only Papa Bear we will be fortunate to own. 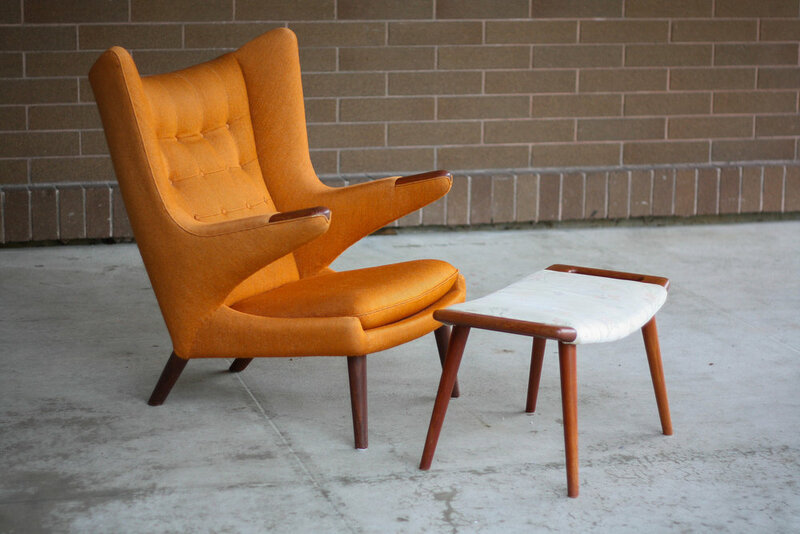 Featured here, we have an original papa bear chair (model AP 19) and ottoman (model AP 29) by Hans Wegner, designed in 1951 and manufactured by AP Stolen. The chair is extremely comfortable with a high curved back that perfectly hugs your body and allows you to rest your head back if desired. 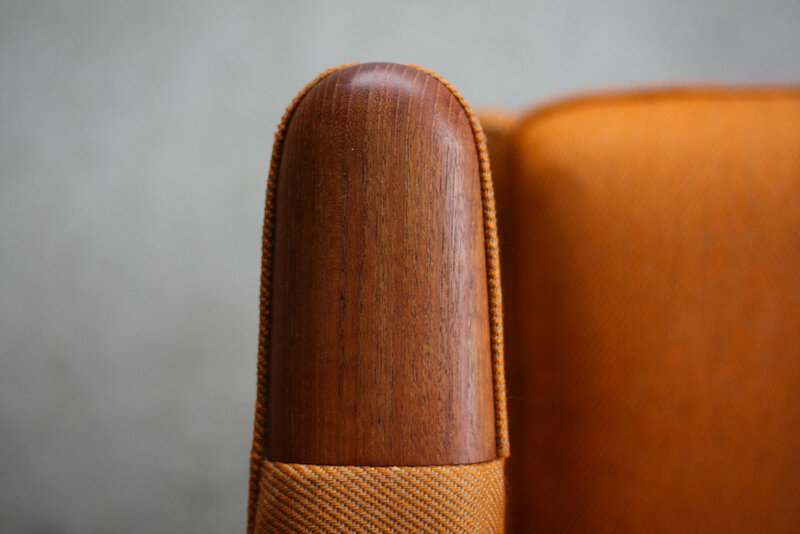 Teak paws add the perfect dimension and texture. 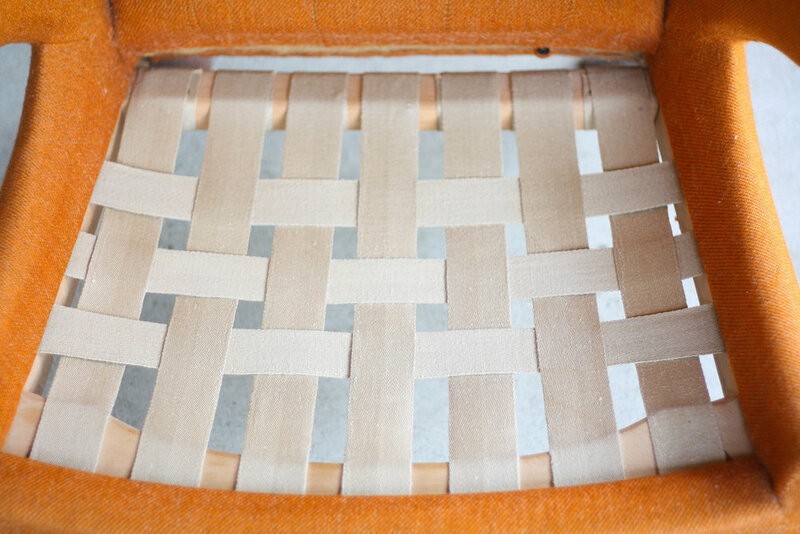 Cotton seat straps are original and need not be replaced. 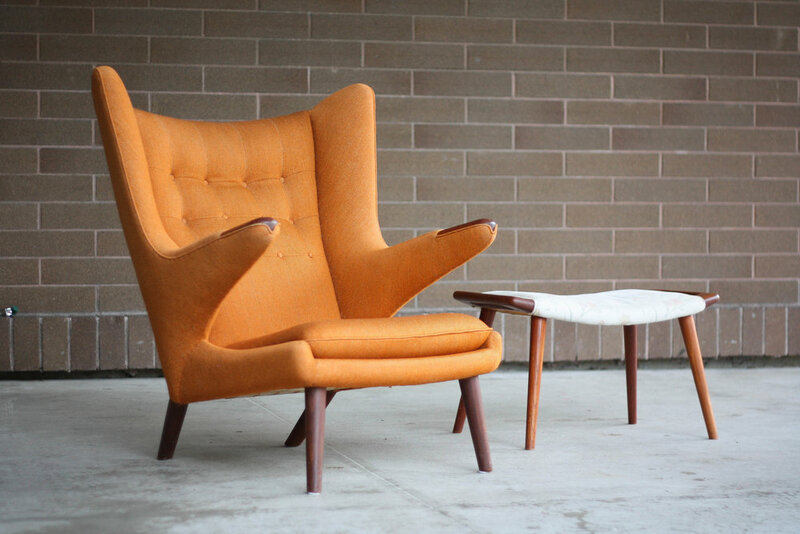 You’ll notice the seat cushion is still perfectly shaped with no lumpyness or sag. 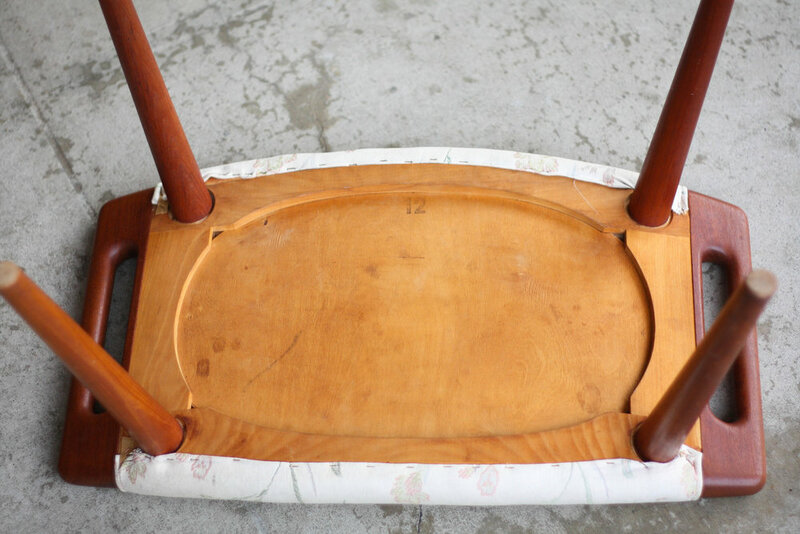 Lastly the chair is stamped with the AP Stolen makers mark on the underside authenticating this as one of the earliest (and best) Papa Bear chairs on the market. 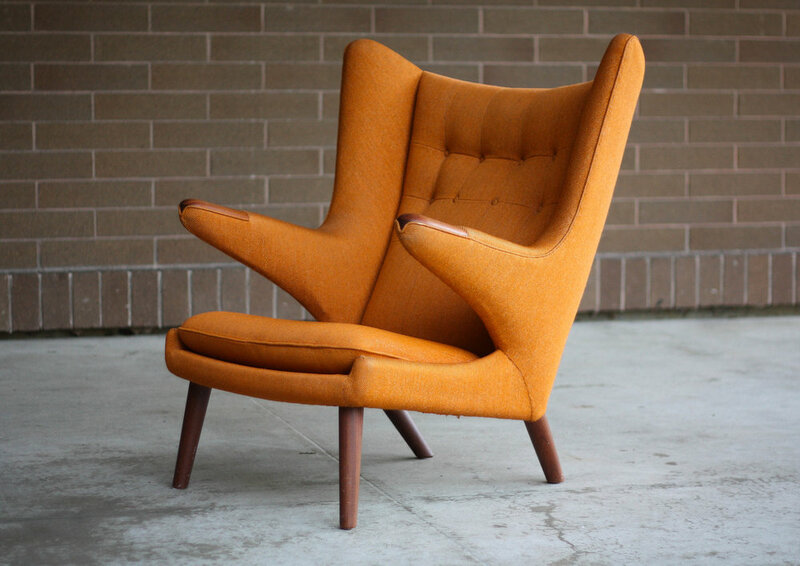 The all original orange wool upholstery oozes quintessential mid century style. 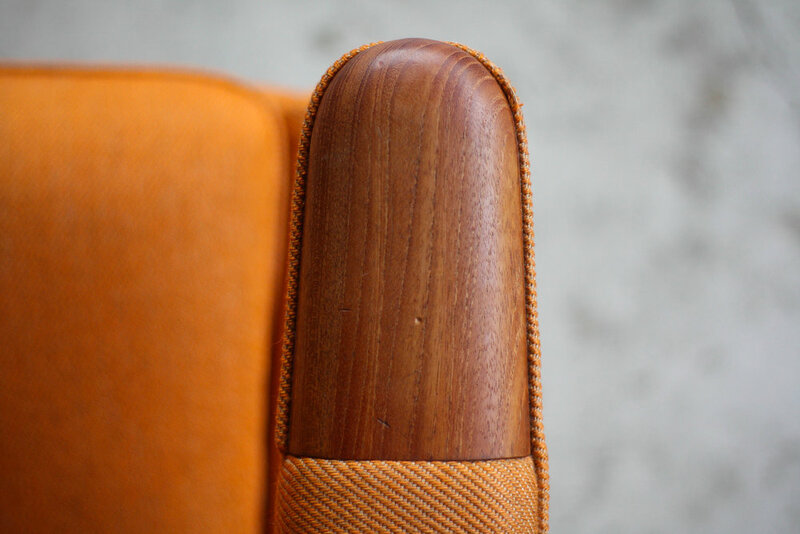 No missing buttons as is common with vintage papa bear chairs. Take note in the photo of the seat straps, there is an extra button from the original manufacturing in the event you were to lose one. They thought of everything. 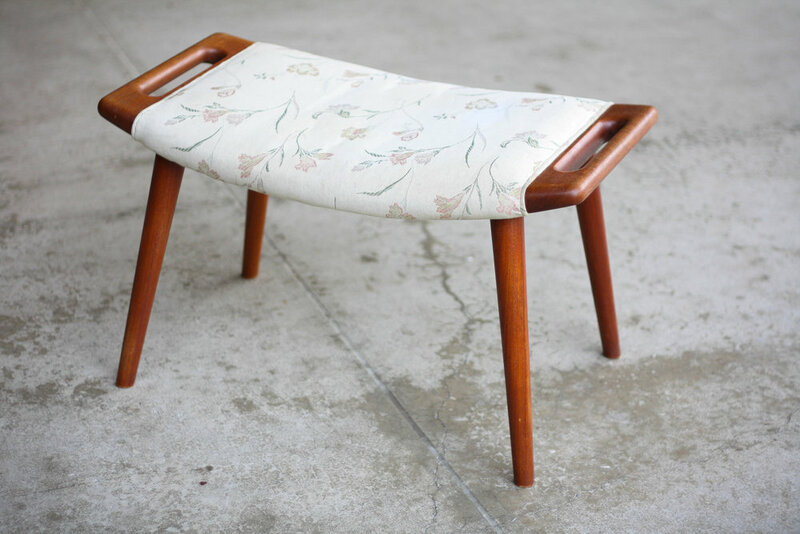 Very light and even fading to the upholstery and minor wear expected with a 70 year old piece. 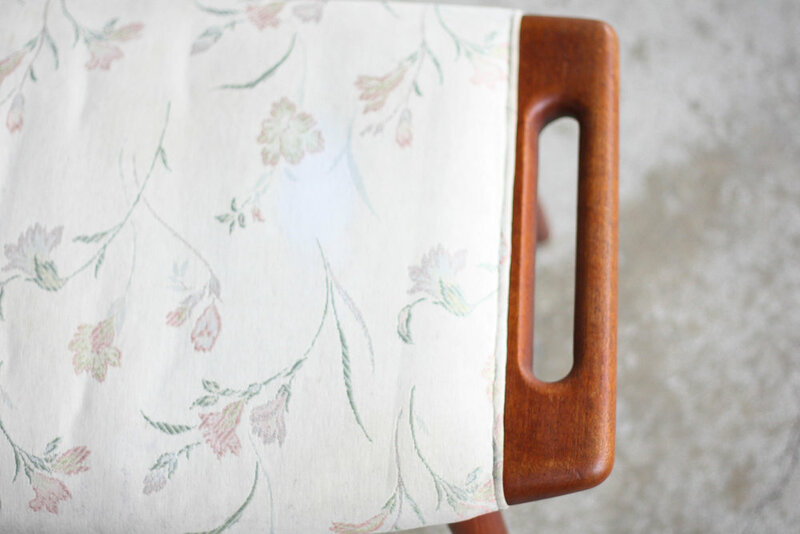 The teak ottoman was updated with grandma’s favorite floral fabric at some point (guessing 1990s), but otherwise works as the perfect partner to the the chair. 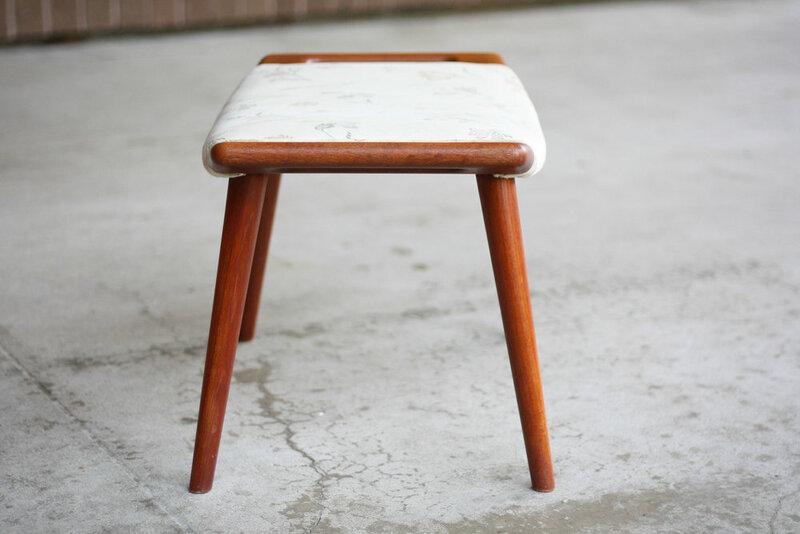 Power combo for sure and a super simple reupholstery job. 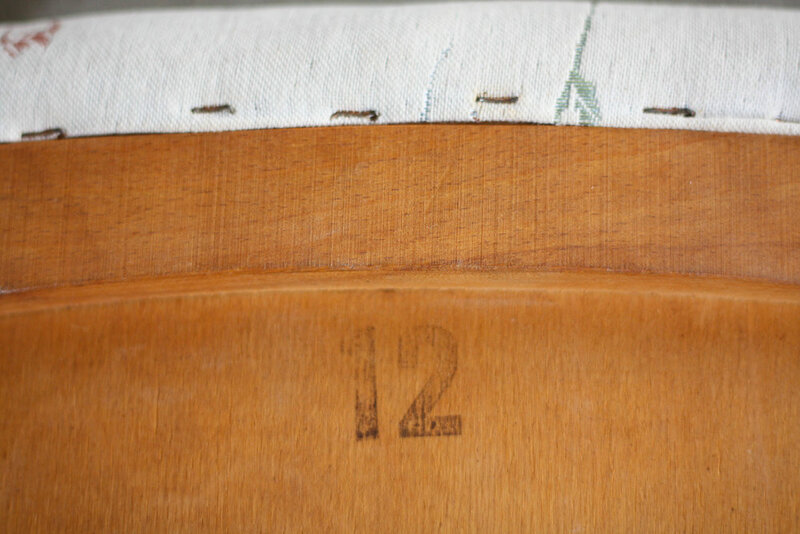 Stamped number 12 on the underside, signifying the number assigned to the quality assurance inspector that oversaw the production of the ottoman as it was made. Not much else to say as the pictures do all the talking.